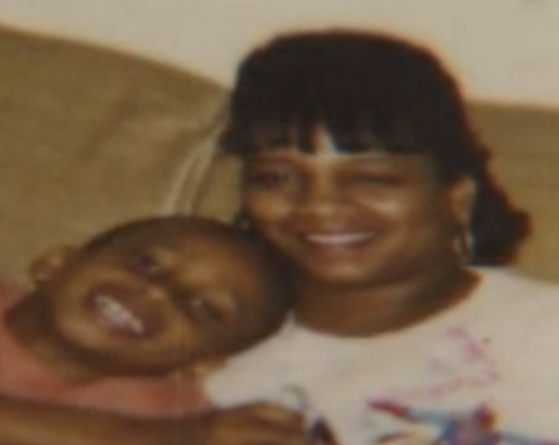 Ms. Yvette Smith with her son Anthony 18 years ago. LAKE BASTROP ACRES, TX — A 47-year-old woman is dead at the hands of a Bastrop County cop for no other reason than being a guest in some friends’ home. The murder took place around 12:30 a.m. Sunday at a house near the corner of Zimmerman Avenue and Cool Water Drive. The Sheriff’s Office said it received a 911 call about two men, who were father and son, fighting over a gun at the residence. The only clear fact after that is Daniel Willis, the cop who arrived at the scene, shot Yvette Smith as soon as she opened the door. The unarmed woman was transported to a local hospital, where she later died. Here is a report from KXAN-TV in Austin. One witness said the cop simply barged into a private home and shot an unarmed woman for no reason. Its obvious these cops wanted to plant a gun or some other weapon to try and cover what amounts to cold-blooded murder. But the scheme was obviously botched. The Sheriff’s Office said it will share its new story later this week when it holds a press conference. The kangaroo “investigation” into the murder will be done by the Texas Rangers. The imminent “justified” disposition should be released within a month or two, in accordance with U.S. police state policy. Ms. Smith was a single mother of two boys, Anthony and Chris. She worked several jobs just to make sure her sons had what they needed, Anthony told KVUE 24 in Austin. A neighbor told KTBC Fox 7 in Austin that the homeowner did not have any weapons and that they were “not the kind of people” to even possess guns. He also said that the people in the neighborhood can no longer trust police after they gunned down an unarmed woman for no reason. Our thoughts are with the Smith family. As far as I’m concerned the Bastrop deputy was in the wrong. I always thought a suspect or in this case a innocent victim had to be a threat before a officer could shoot the person? The Bastrop county sheriffs dept & the deputy responsible for this tragedy need to be held responsible.